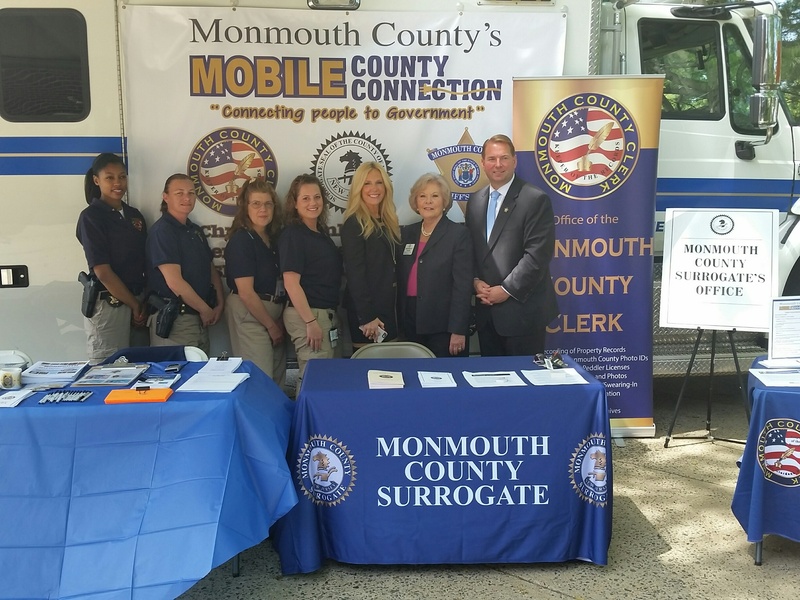 Long Branch: Monmouth County Sheriff Shaun Golden, Clerk Christine Hanlon and Surrogate Rosemarie Peters continue to team up and deliver county services and programs directly into communities through the Mobile County Connection. The Mobile County Connection office is housed in a large mobile command center and was rolled out at the Long Branch Public Library on May 23. During the event, residents were able to apply for and renew their passports as well as have passport photos taken. Residents also had access to free notary services and voter/election information. The Monmouth County Sheriff’s Office offered Youth and Ident-Adult Identification Cards and information on the proper installation of child safety seats, along with other agency services. In addition, there was information on the Monmouth County Surrogate’s Office regarding estate, guardianship and adoption services and other programs offered throughout the county. The next stop planned for the Mobile County Connection will take place on June 18 at Seabrook Village in Tinton Falls from 10am to 1pm.